Introducing La Nuit de L'Hommea fresh oriental scent with notes of cardamom, bergamot, cedar, lavender, coumarin, and vetiver. The Deodorant Stick provides efficient protection all day long. This alcohol-free formula guarantees comfort for all types of skin, even the most sensitive. An efficient protection all-day long. 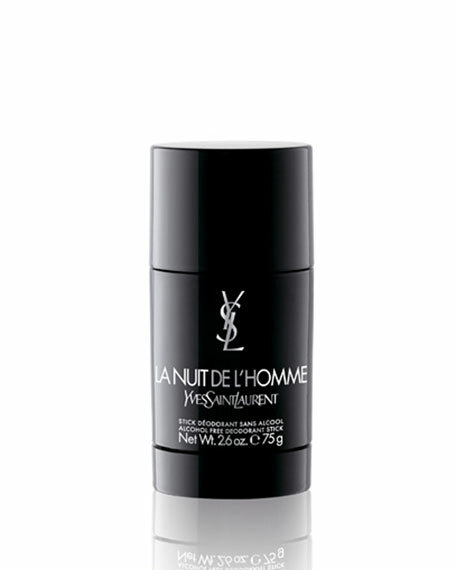 An alcohol-free formula to guarantee comfort to all types of skin, even the most sensitive.2.6-ounce stick.